The $165 bln media company is wrestling with a drop in subscribers to sports network ESPN. But it would be unwise to underestimate its ability to navigate changes in pay-TV. For starters, CEO Bob Iger is ditching Netflix to build out the company’s own video streaming product. 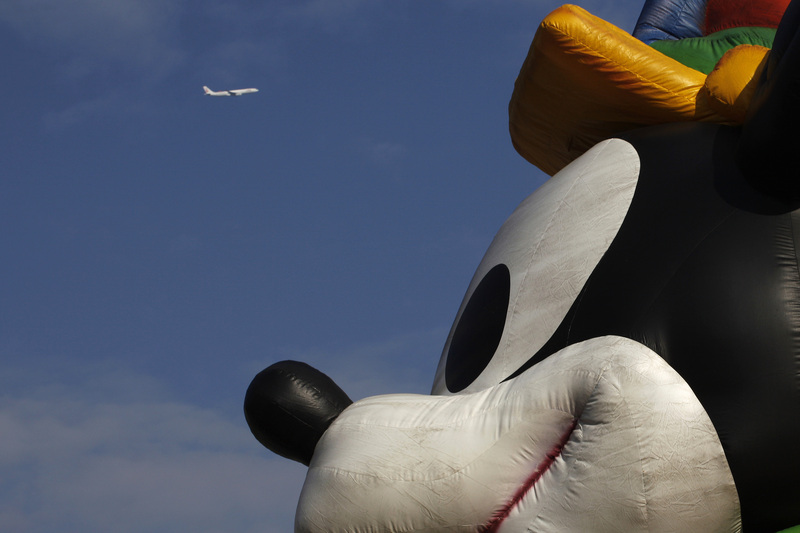 A plane flies past a musical parade at Hong Kong Disneyland November 4, 2009. Walt Disney said on Aug. 8 it agreed to acquire majority ownership of BAMTech, a direct-to-consumer streaming technology, from Major League Baseball. Disney, which bought a 33 percent stake in the business in August 2016, will pay $1.58 billion to acquire an additional 42 percent stake. The company plans to launch an ESPN-branded multisport video streaming service in early 2018, followed by a new Disney-branded direct-to-consumer streaming service in 2019. Disney said it will end its distribution agreement with Netflix for subscription streaming of new movie releases, beginning with the 2019 calendar year theatrical slate. The company reported that revenue for the quarter ended July 1 was flat year-over-year at $14.2 billion. Net income declined 9 percent to $2.3 billion.